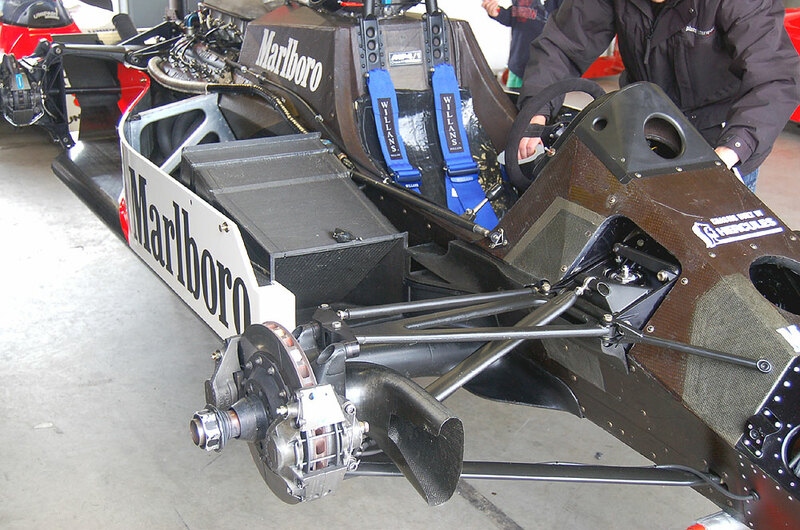 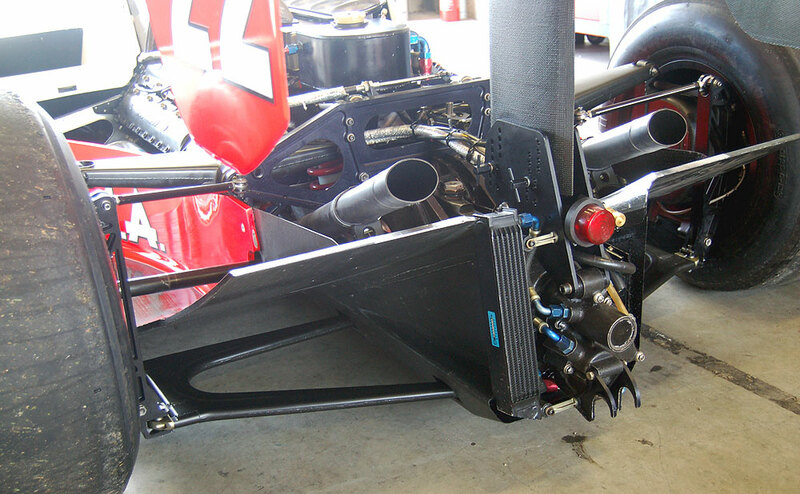 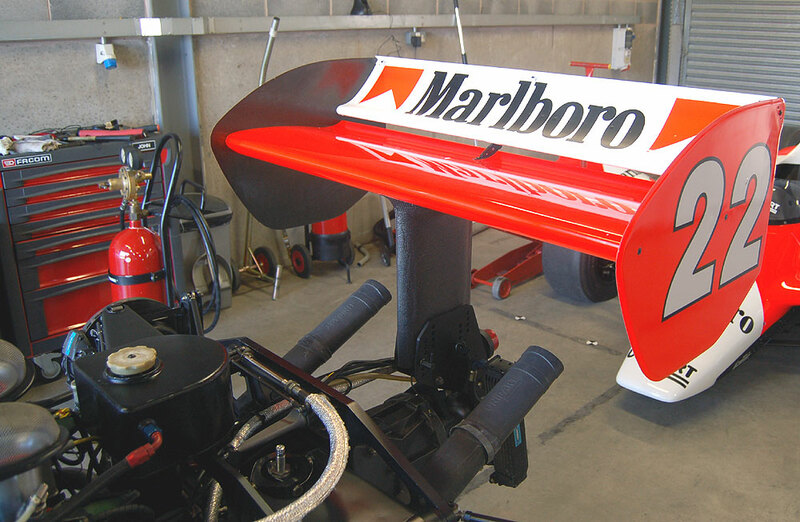 McLaren had introduced in 1981 the first carbon monocoque with the MP4/1 designed by J.Barnard. 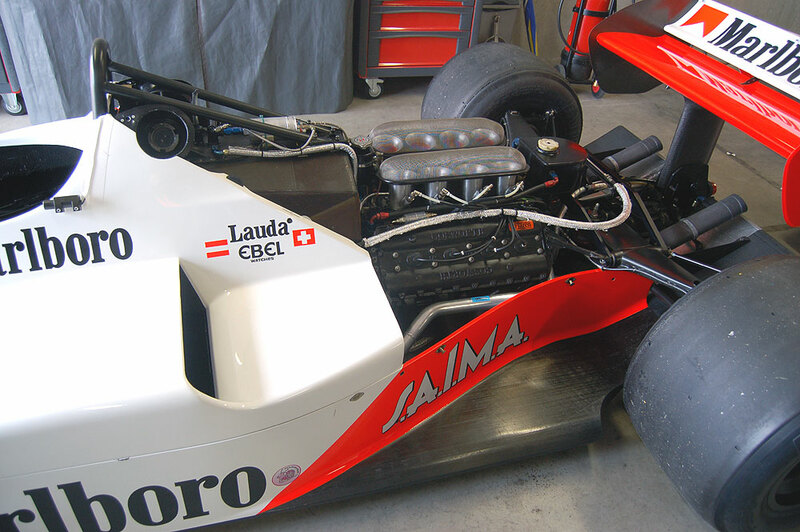 During two years the car will win 5 times in the hands of J.Watson and N.Lauda. 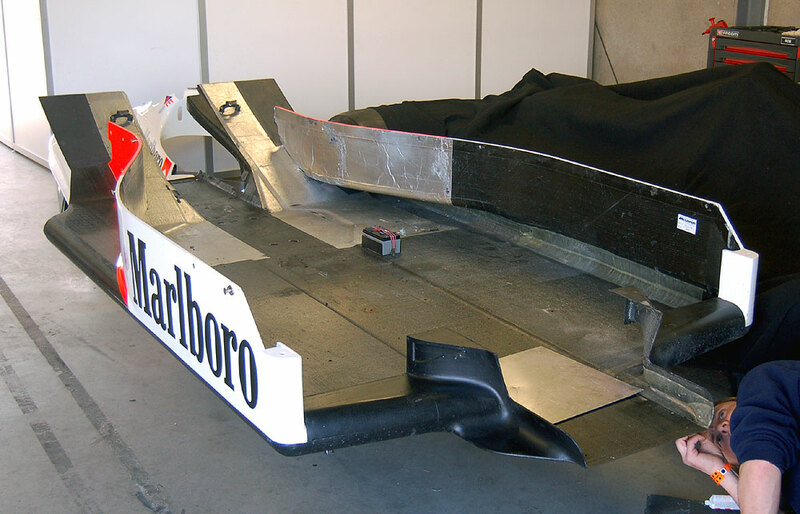 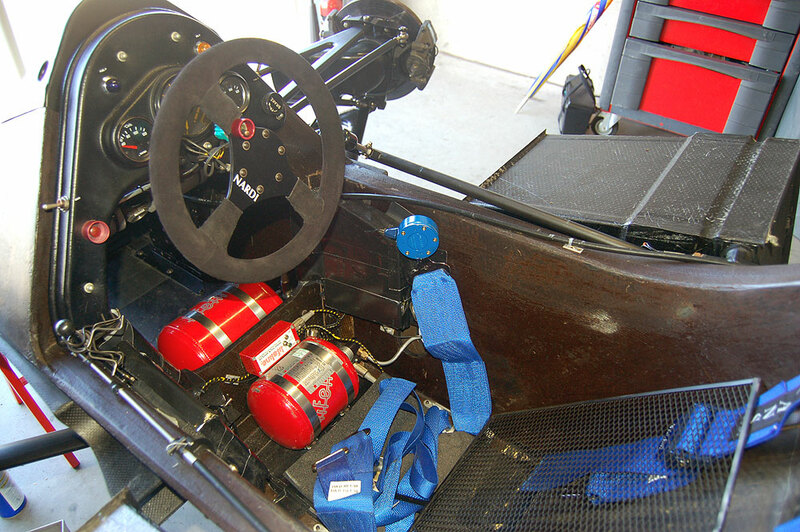 With the new 1983 regulations introducing the flat bottom, J.Barnard will hit the Formula 1 world with another innovation. 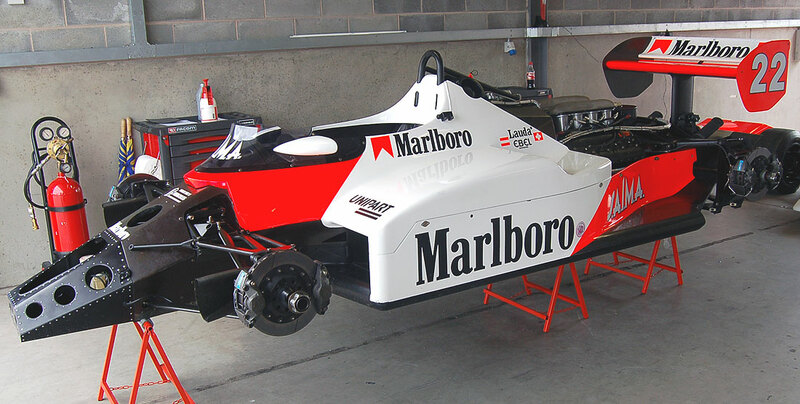 Before introducing the Turbo TAG Porsche, McLaren had to cope with the now uncompetitive Cosworth V8, the MP4/1C was basically the old car with modifications for the new regulations. 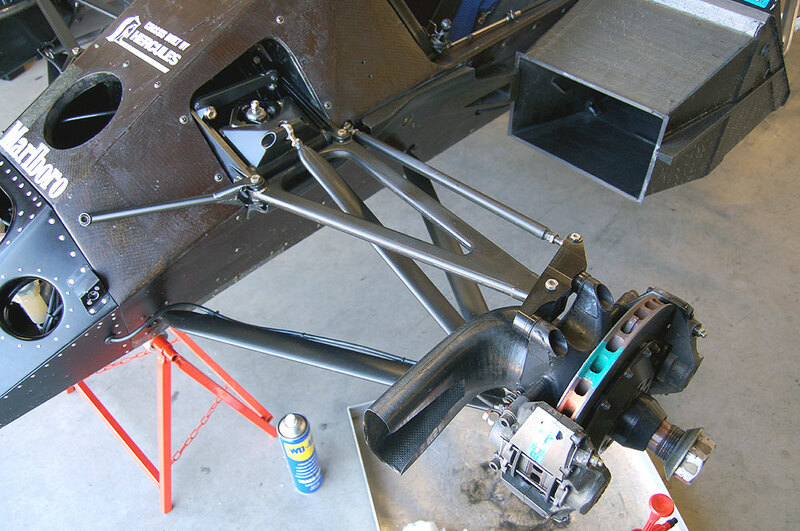 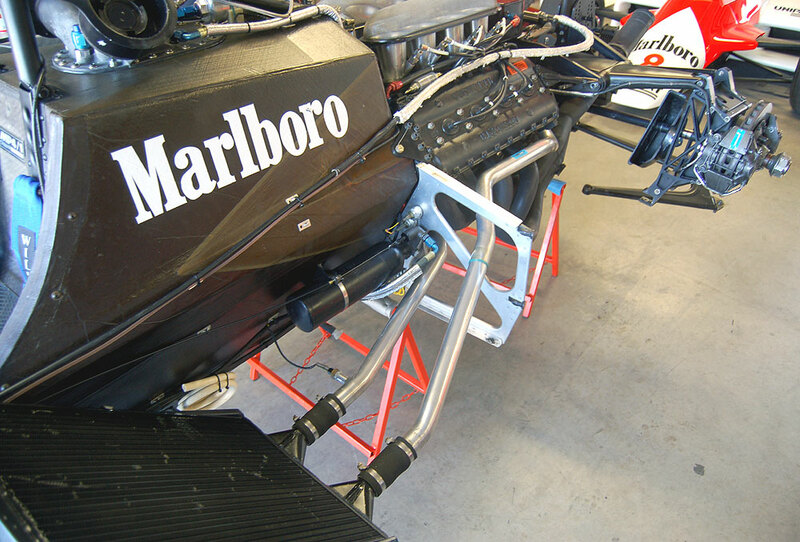 If on the mechanical side minor modifications were introduced, new push rods front suspension, J.Barnard had found a new aerodynamic form at the rear of the car to regain the lost downforce (about 30 % were regained). 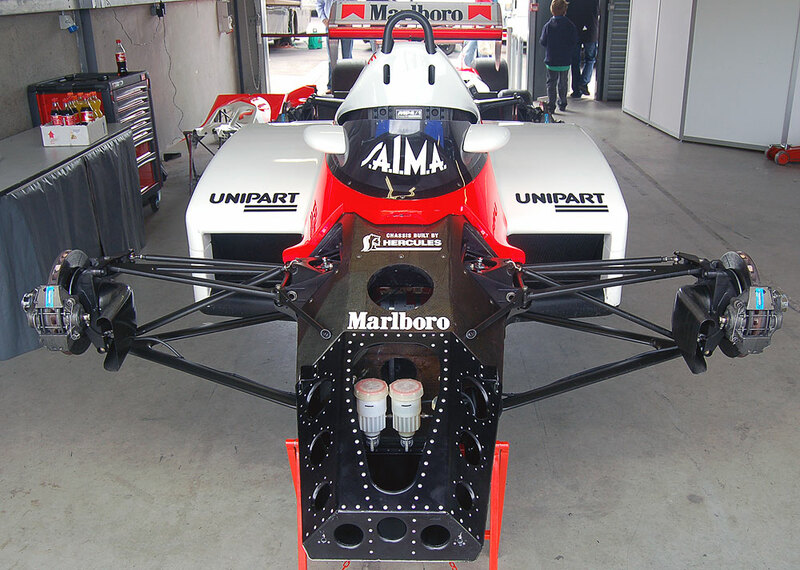 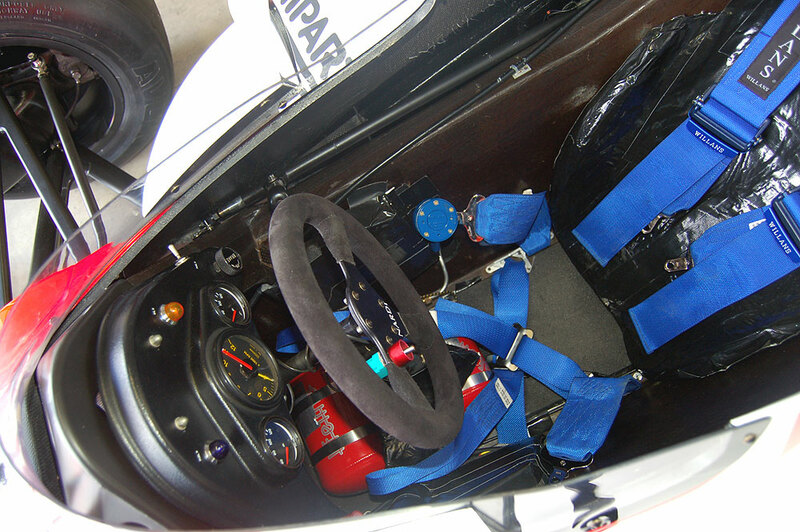 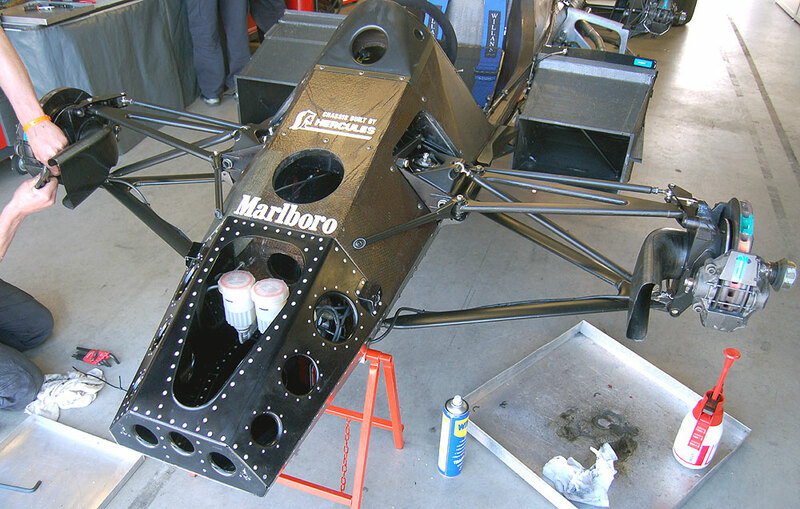 From the wide side pods around the radiators the bodywork sweeps inwards to the rear, which was called a "Coke bottle". 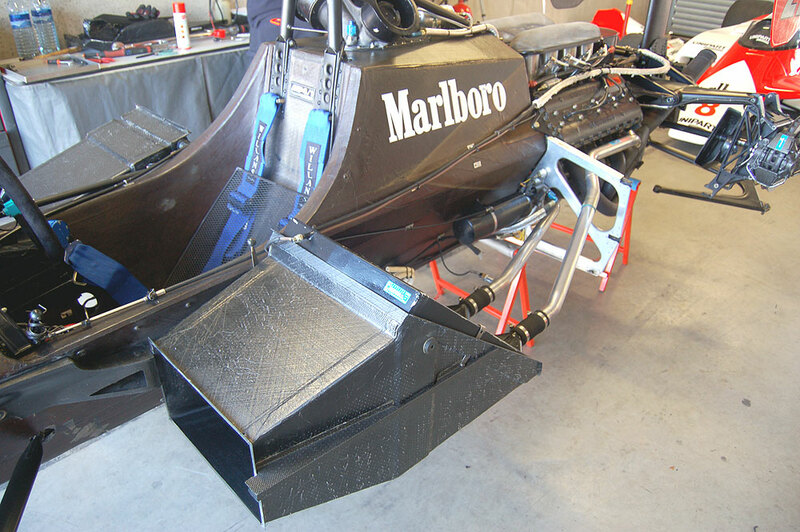 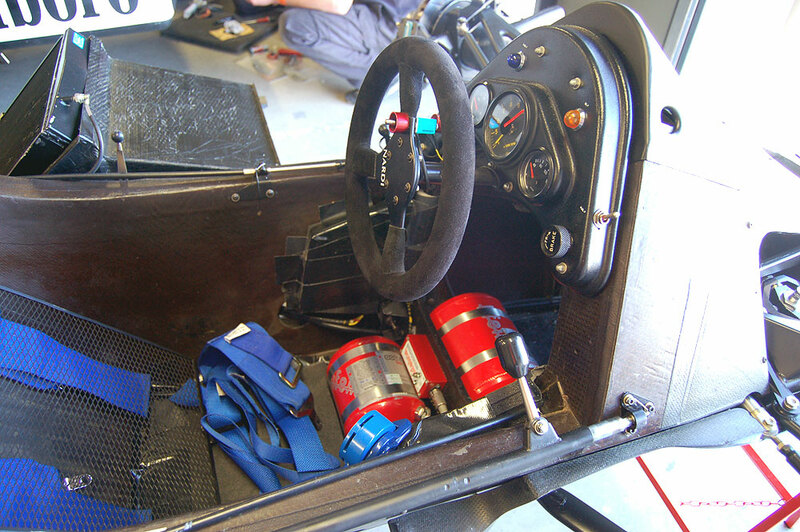 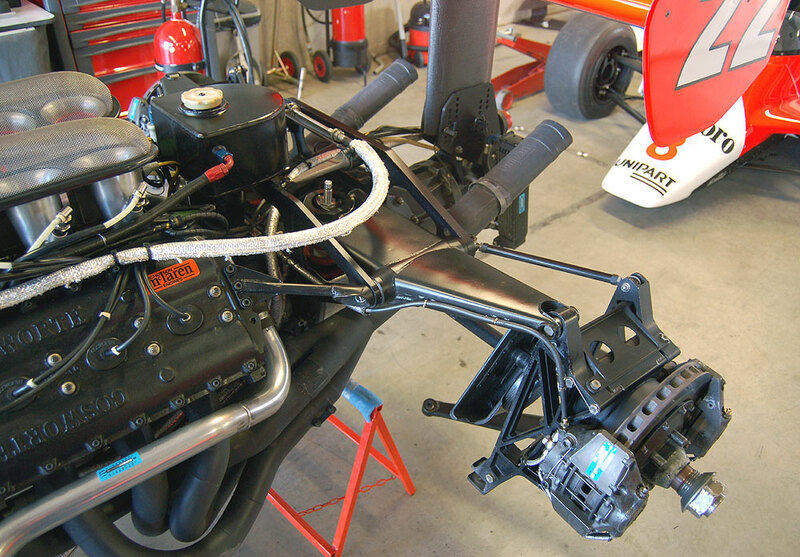 By eliminating the blocage of the air in front of the rear wheels, drag and downforce were improved. 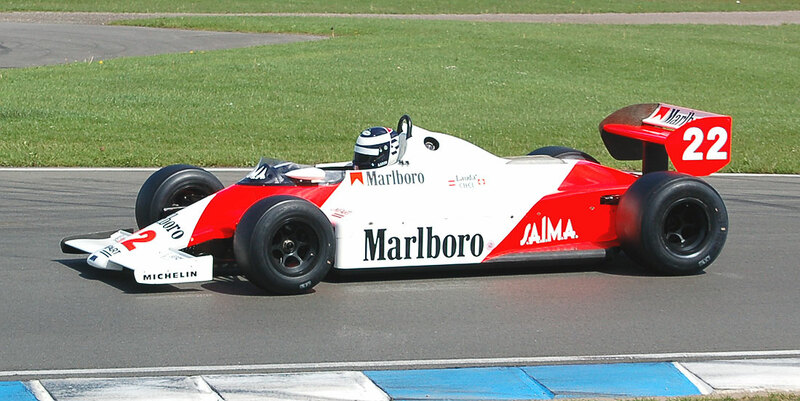 On track the advantage wasn't obvious at first because of problems with Michelin tyres, the car being enable to generate enough heat into the qualifiers basically made for turbo cars. 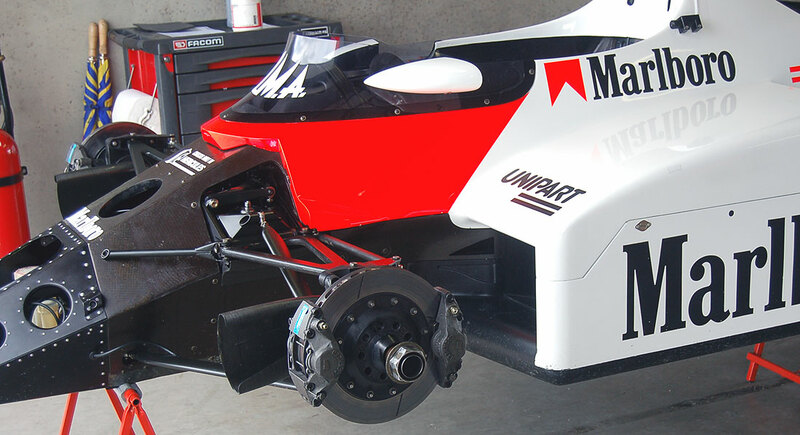 This will lead in bad positions for qualifications and finally a disaster at Monaco where both cars failed to qualify. 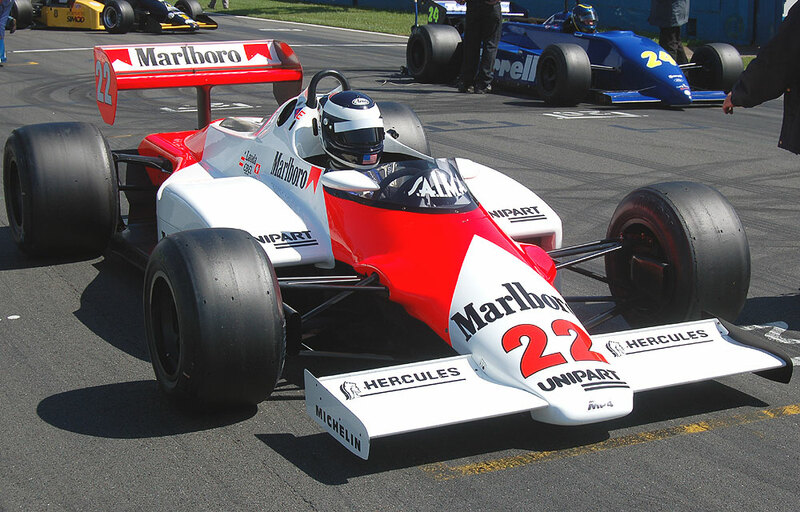 At Long Beach, second race of the season, the cars were only 22nd and 23rd on the grid but N.Lauda and J.Watson eventually finished first and second. 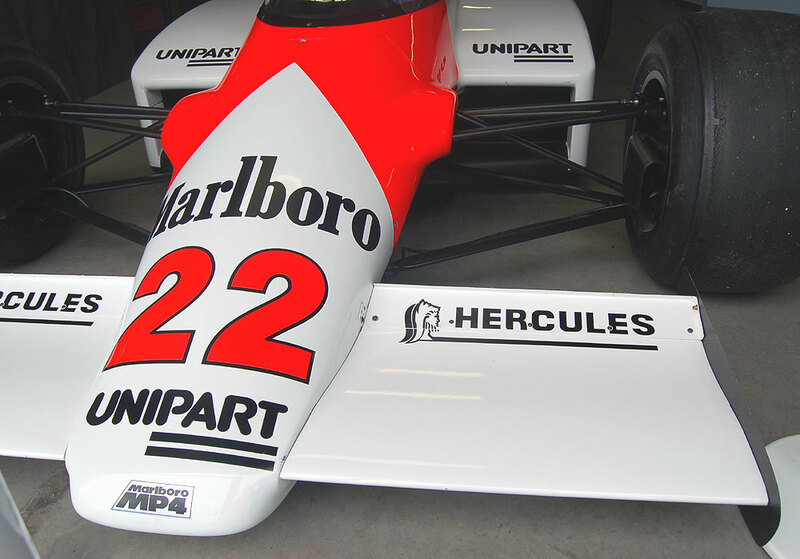 After Monaco Michelin managed to produce a tyre especially for McLaren and the MP4/1C became the fastest car of the Cosworth powered teams, the car being raced for the last time at the dutch Grand Prix and ending with a good 3rd position with J.Watson. 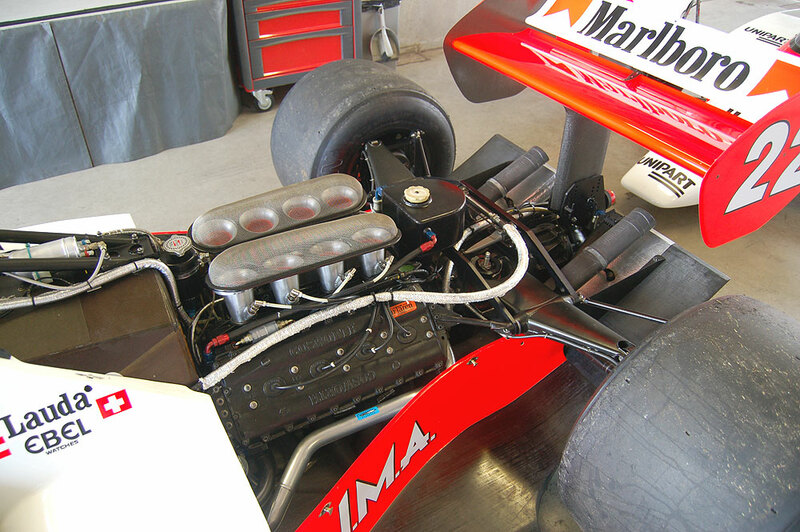 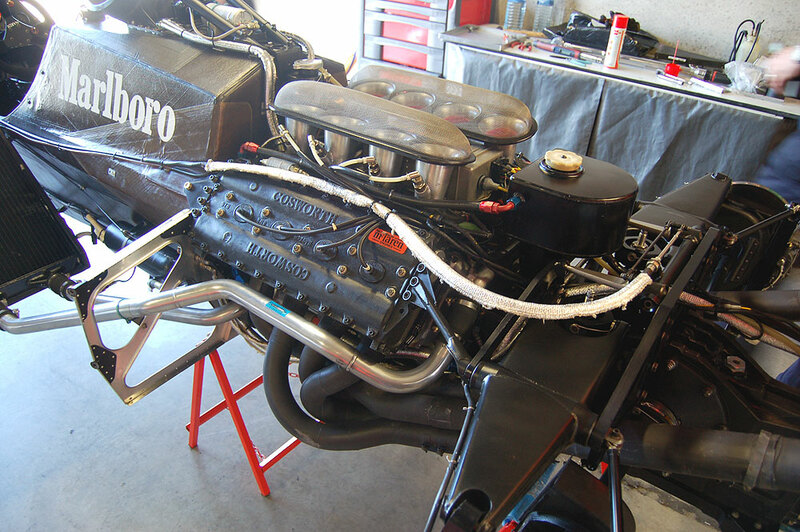 The same race saw the introduction of the TAG Porsche engine with the success everybody knows.